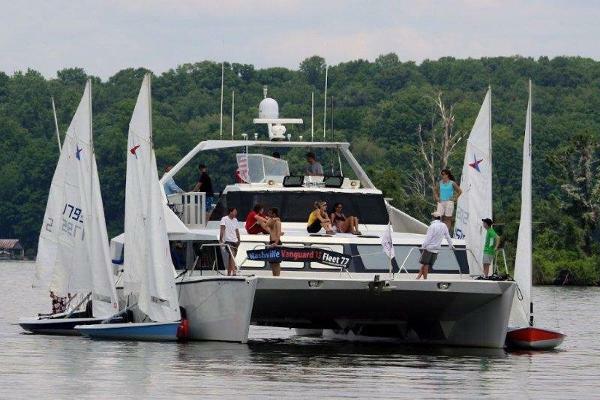 Type of Boat: Catamaran Year: 2003 Make: Profile Model: Bravo XR Cat Length: 28 Hours: 160 Fuel Capacity: 120 Fuel Type: Gas Engine Model: 700hp 575sci Max Speed (Boat): 90 Cruising Speed (Boat): 50 Inboard / Outboard (Boat): Single I/O Total Horse Power: 700 Beam (Boat): 8.6 Hull Material (Boat): fiberglass Trailer: yes Price: 60000 687885 - Great looking high performance Cat! 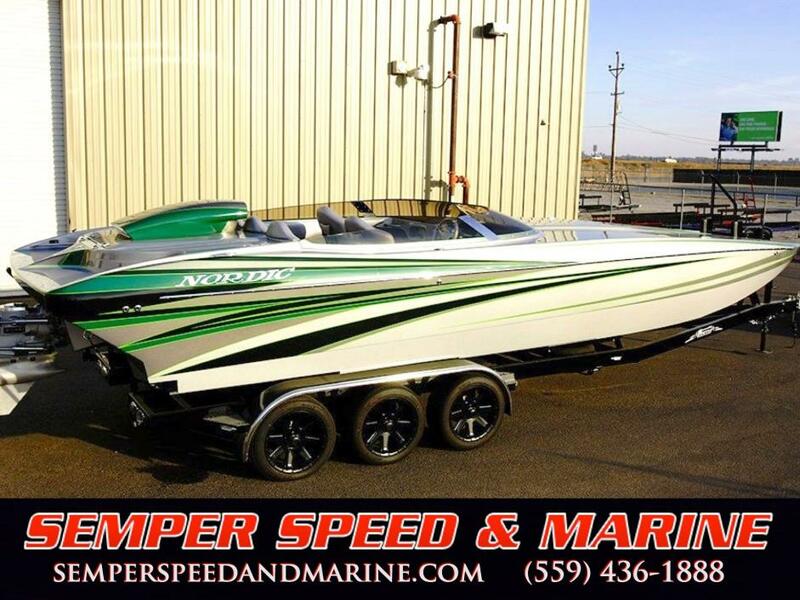 Top speed 90mph, 160 hours on 700hp 575sci single I/O, 8.6’ beam, trailer, custom paint, call Daniel 303-888-8709. 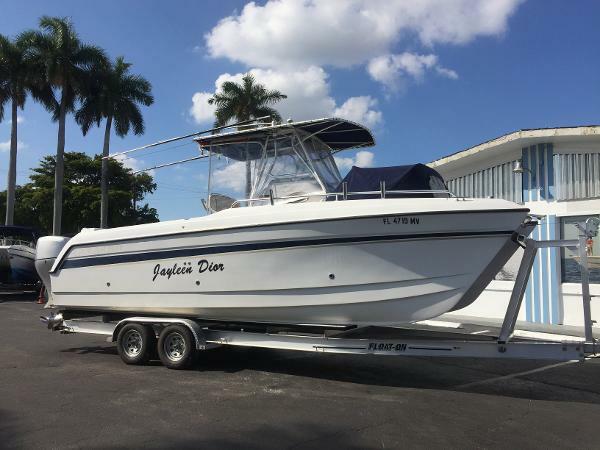 1979 Stiletto 27' #232 Located in Key Biscayne, Fl 2 Lewmar Series 60 low profile hatchesrubrailscustom stripingrepainted in 2010interior painted 2010electrical panel with transfer switch and 2 batteriesdome lightsrunning lights and mast head lightmotor spray shieldgas tank cover/drink holderladdertransom stepssails- main storm jib, genoa, reacher/drifterharken blocks/riggingcockpit cushionsfiberglass daggerboardarriba hiking stick Interior has been customized in 2014 with plascore light weight reinforcing bulkheads and bunks which provide adding hull reinforcing, compartmentalized storage bins for gear, and support for new full length removable bunk cushions. 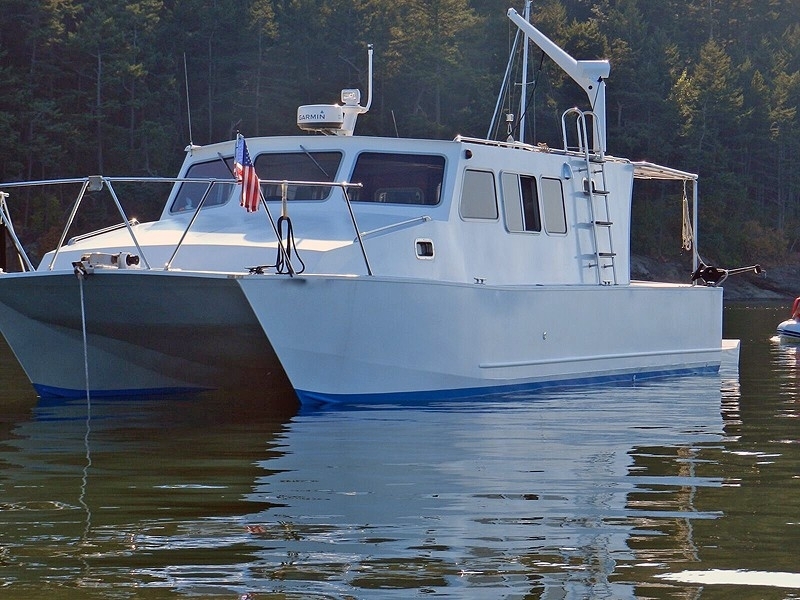 Boat also includes stainless BBQ grill - new Deck tent that covers the cockpit and hull nacelle openings 10' x 14' Life vests, dock lines, mooring lines Galvanized expandable trailer with new axles and wheel bearing hubs in 2014. 2010 Nissan 9.8 outboard with gas tank. 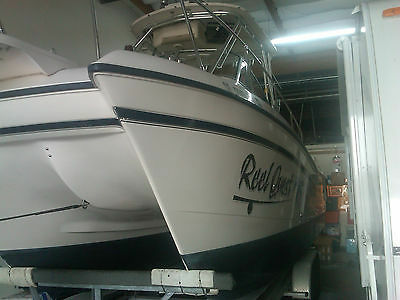 Contact me prior to making bid/offer to ask any and all questions and inspect boat prior to bidding. 2017 Allmand Yachts Catamaran 50 This new flybridge yacht plays a crucial role in the brands development strategy. The Allmand Yachts 60, which features an unprecedented hull design, equipment and engine room arrangement and interior layout, is once again the brilliant outcome of the long-standing cooperation between the Allmand Group, its Engineering Department in particular, and the Design Atelier. This yacht combines elegance and a very sporty character, with clear-cut and yet very seducing lines. The main deck uninterrupted glazing cuts the yachts profile, increasing its dynamic look, while the three large glazed surfaces on the hull sides - the cabin windows - perfectly harmonize with the overall design and grant magnificent views from the interiors as well as plenty of natural light. The frameless fiberglass flush portholes result in very clean lines. The lowered flybridge and the new forward lounge area on the wheelhouse offer incredibly wide outdoor relaxation areas, ensuring great privacy with no impact on the crafts slender profile. 2008 Boden Aluminum Power Catamaran A unique power catamaran proven in the Northwest; hull configuration, wide beam and low profile give her excellent stability and she is very fuel efficient.Original owner purchased the plans from Boden Boat Plans (NSW, Australia) and built the vessel in Ontario, Canada. Current owner added an extended and reinforced swim platform which is reportedly capable of handling weight of twin engines if new owner wishes to refit. This boat is a combination of "rough-ready" and refined: her exterior has non-skid covering most of the decks, a water-tight door, and deep bulwarks surrounding the cockpit. Her interior is finely finished with cherry cabinetry, a beautiful dinette/settee, and propane water heater, stove/oven, and cabin heat to keep you comfortable in any weather. Getting to shore will be safe with the rigid fiberglass dinghy. Manufacturer's site indicates it is very sturdy and stable. And, this dinghy is easy to deploy from the top with the Roskelley/Olssen davit system. Loads of storage throughout the cabin will allow you to enjoy weekends or extended cruises. 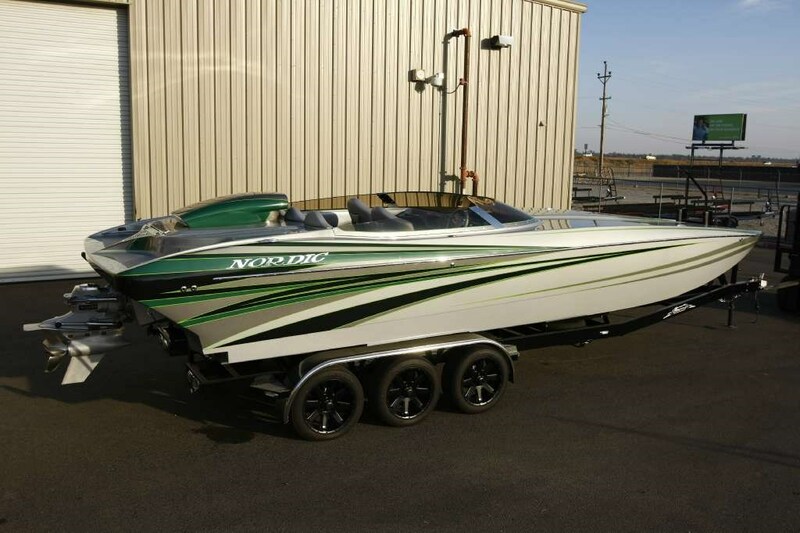 She is ready for you to enjoy your next adventures!These boat details are subject to contract.Note: Offers on the asking price may be considered. 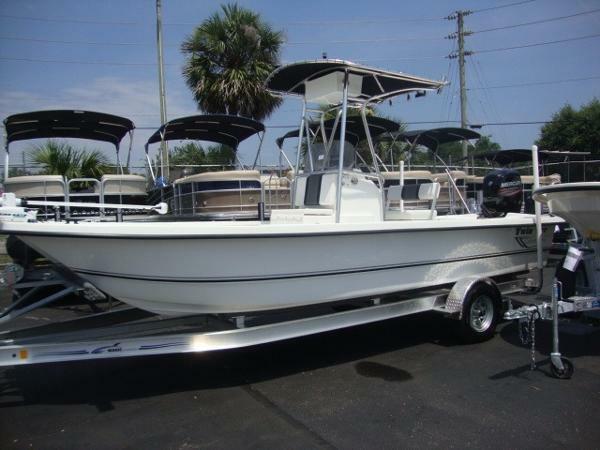 2005 Glacier Bay 2665 Canyon Runner This 2005 Glacier Bay 2665 Canyon Runner (Center Console) is powered by twin Honda 150hp four stroke outboard engines with 965 hours of running time. The Honda gauges are the up-graded digital tachometers and digital fuel management gauge. The engine compression is very good at 190psi to 200psi. This Glacier Bay has a Garmin 1040sx GPSmap/Depth Sounder with a thru-hull transducer, a Fusion MS-RA205 Sirius satellite ready Stereo with four 6.5" speakers, an Icom IC-M302 Marine VHF Radio with a 8' fiberglass antenna and a Raymarine Ray240 Marine VHF Radio with a 8' fiberglass antenna. The vessel has the bow filler cushions and a bow canvas dodger storm hood with a big clear enclosure window in the front that opens for air flow. There is a canvas T-top with life jacket holders and a 3-sided enclosure. Inside the console is a porta-potty head. There is a on-board two bank battery charger and heavy duty battery switch. The fishing options are Taco Grand Slam 280 Outriggers with 15' telescoping poles, a Hubbel plug inlet located in the cockpit for a electric reel, a 35 gallon live bait well located on the back of the leaning post, raw water wash down, 4 built-in tackle compartments and two very large Port & Starboard 24"x24"x72" Fish Boxes. There are 4 rocket launcher rod holders on the T-top and 4 rocket launcher rod holders on the leaning post. This Glacier Bay also has a custom Port & Starboard low profile aluminum bow rail with three welded-on rod holders on each side. The transom walk thru has a cushioned cooler seat with a back rest cushion. The vessel is set up for fishing and is ready to go to the Bahamas with 300 miles of range. The center console is one of the best riding Glacier Bay models and I have personally cruised to the outer islands of the Bahamas in this model Glacier Bay. It will get you there and back to the home port safely! 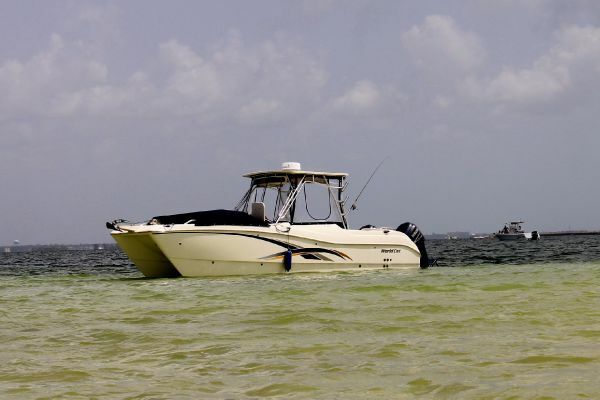 The 2665 Canyon Runner won the Boating magazines 728-mile, nonstop "Bermuda Challenge" running with twin, 90 hp engines. Serving as companion boat on a 1330- mile run from Hawaii to Midway Island, this robust center console cat is an offshore fisher's dream. As scores of sportsmen can attest, the 2665 Canyon Runner is the fastest, smoothest, most comfortable way to get out to the fish. 1993 Island Packet Packet Cat 35 The Island Packet Packet Cat 35 Catamaran has a unique hull design. The forward section has three hulls. This removes the hull slap common to other cats in a seaway. It also provides more storage area under the forward deck -- enough to supply room for air conditioning units and general bulk storage. 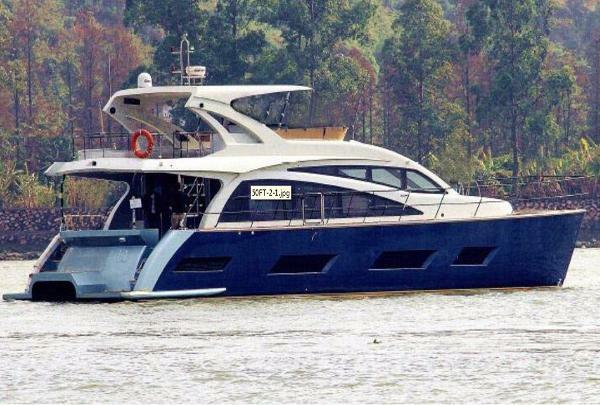 Here's a boats.com design review by Bob Perry: http://www.boats.com/reviews/boats/perry-design-review-packet-cat-35/ Two staterooms, each with their own head and shower, make an excellent cruising boat for two couples. Another design positive is the fact that the boat has a lower profile allowing the helm station to be at deck level in the cockpit. So many cats need the helm mounted up high so the driver can see over the cabin top. 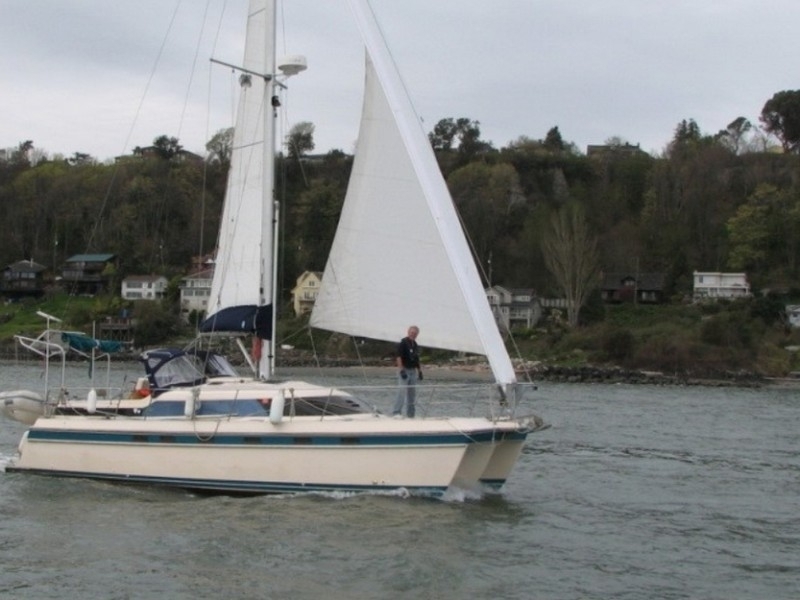 With a large dinette that converts to another double berth and a galley that has plenty of storage this is a great cruising sailboat. These boat details are subject to contract. Note: Offers on the asking price may be considered. 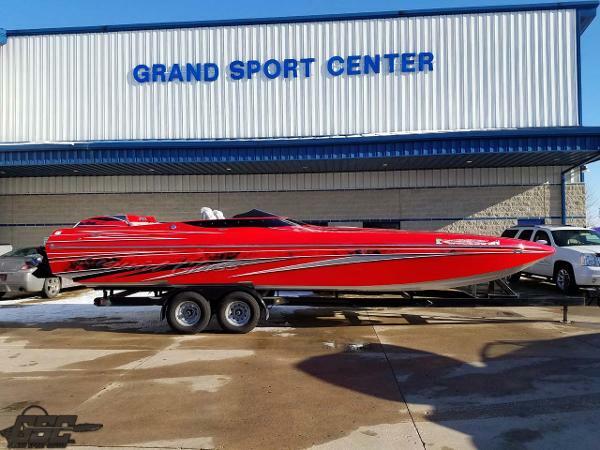 2009 World Cat - 270 SD Sport Deck MINT! Model - 270 SD Sport Deck MINT!